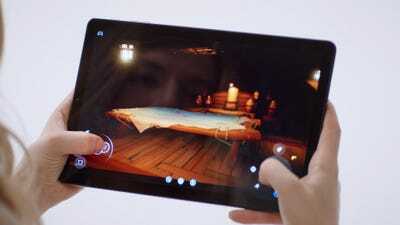 Project xCloud is a new video game streaming service capable of bringing high-end Xbox games to a range of devices, including smartphones and computers. The online service will stream the game from remote cloud servers to the user’s device, removing the need for high-powered consoles or gaming computers. Project xCloud doesn’t have a release date yet, but it will likely launch with new Xbox devices designed specifically for streaming. 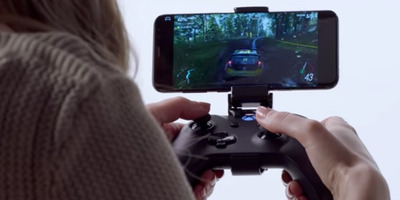 Microsoft has officially announced Project xCloud, a new video game streaming service that could bring the next generation of video games to mobile devices around the world. Backed by the company’s Azure Cloud computing service, Project xCloud aims to remove the need for expensive home consoles or gaming PCs to play high-quality video games. Based on the announcement, Project xCloud would allow players to stream some of Microsoft’s most well-known titles including “Halo,” “Gears of War,” “Forza” and “Minecraft.” Microsoft said the thousands of developers currently working on Xbox titles will be able to use Project xCloud as well. The service supports Xbox One controllers via Bluetooth but also allows touchscreen controls on tablets and smartphones. A handy peripheral that clips a smartphone on top of an Xbox Controller can create a portable setup for high-end gaming. In a statement attached to the Project xCloud announcement, Microsoft said Project xCloud will be functional on 4G and 5G mobile data networks. Phil Spencer, Microsoft’s executive vice president of gaming, teased the new streaming service at E3 in June 2018. In an interview with Business Insider after Microsoft’s keynote speech, Spencer said the company wants to reach gamers on whatever platform they choose to play on. 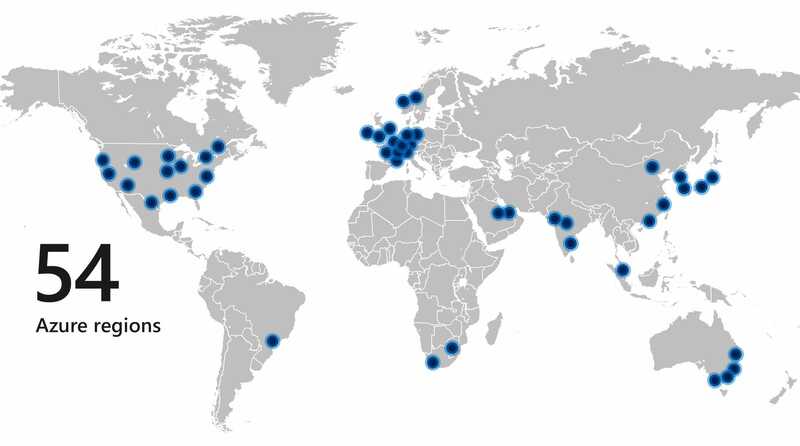 Microsoft’s Azure Cloud service is available in 140 countries and Project xCloud could greatly reduce the technological barrier of entry for gaming. 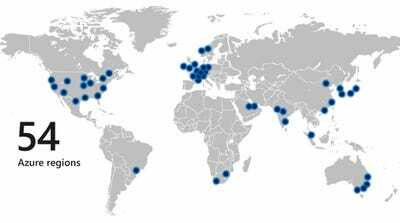 MicrosoftProject xCloud will utilise Microsoft’s Azure Cloud service, which currently supports 140 countries in 54 regions. “There are 2 billion people who play video games on the planet today. We’re not going to sell 2 billion consoles,” Spencer said. For now, it’s not clear whether Xbox owners will be able to carry their games and subscriptions over to Project xCloud, but Microsoft says developers will be able to stream their new games through Project xCloud with no additional effort. As Xbox One sales lag behind those of the PlayStation 4, Microsoft has shown a continued interest in offering subscription services like the Xbox Game Pass and Xbox All Access to its users. MicrosoftProject xCloud’s touch screen overlay. Microsoft isn’t the only company interested in streaming video games either. Google announced its own “Project Stream” last week, with the goal of bringing blockbuster video games straight to the Google Chrome browser. The Project Stream beta test will include just one game, Ubisoft’s recently released “Assassin’s Creed: Odyssey.” Sony, Microsoft’s primary competitor in the console gaming market, has its own streaming service in PlayStation Now. PlayStation Now was once available on smart TVs and handheld devices but is currently limited to computers and the PlayStation 4 console. PC gaming company Nvidia unveiled their own streaming service in 2015, called GeForce Now, but the service remains in open beta after testing multiple subscription models. Project xCloud doesn’t have a release date yet, but Microsoft is planning a public trial for 2019. Rumours suggest that Microsoft will launch one or two new Xbox devices in 2020 to make use of Project xCloud’s streaming capabilities.